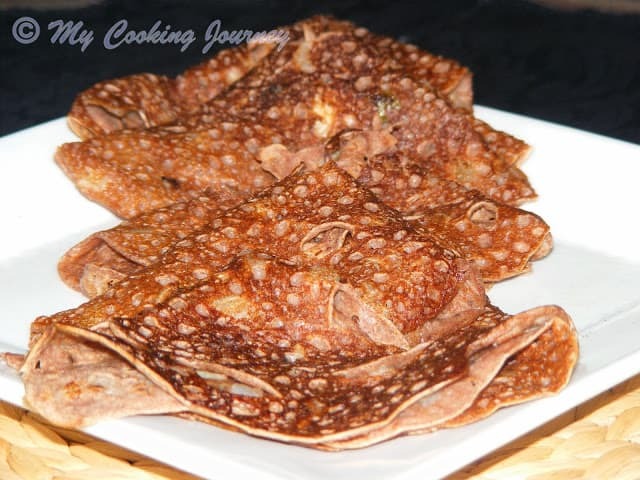 I had a long time wish of cooking a main dish with ragi as I have never used it other than making Ragi savory dosai / crepes and Ragi sweet dosai / Sweet crepes. 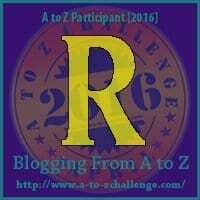 This mega marathon opened up my imagination (and also my husband’s) and we together came up with several recipes that were quite new to me and several that were really beyond my skill level. 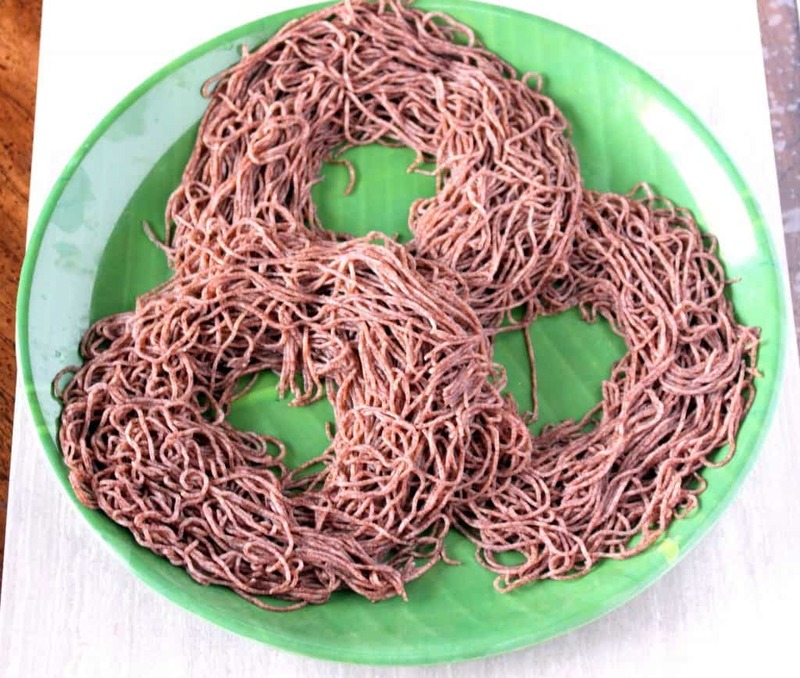 I wanted to make Idiyappam for ‘I’ and Ragi Sevai for ‘R’. 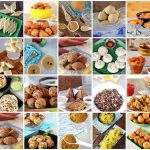 Since making the idiyappam with rice flour and Ragi Idiyappam are quite similar, I changed my choice for ‘I’ and made Inji Marappa instead. My friend Ranganayaki came to my rescue and gave me her recipe to make the ragi idiyappam and it came out beyond perfect. The only change I made to her recipe was to add some rice flour to the ragi flour as I read that it helps keeps the idiyappam soft even after it cools down. 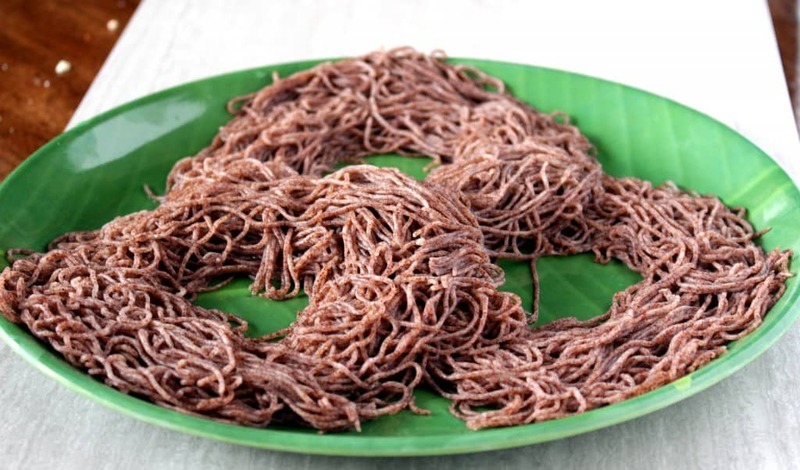 We can make this idiyappam entirely with ragi flour, but I would highly recommend adding the rice flour if you are making it for the first time. 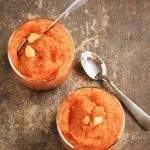 It helps takes a little bit of the earthy flavor of the ragi and also makes it very soft. 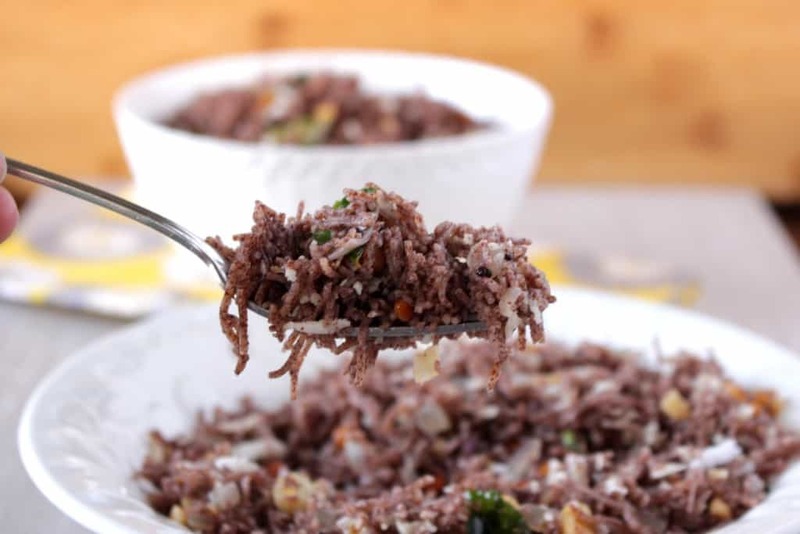 Also, roasting the ragi flour helps in maintaining a good texture instead of making it chewy. I have a Sevai naazhi (traditional Sevai making equipment), but it is packed and stored in the garage. 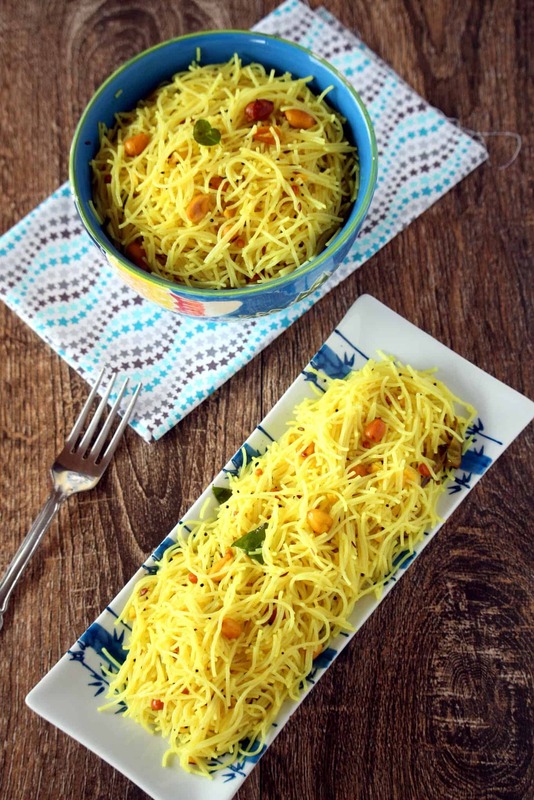 I used my thenkuzhal naazhi with the achu that has tiny holes (used to make omapodi). It was quite a task to squeeze out the idiyappam without its actual equipment and my palm was all red by the time I was done making it, but it was totally worth it. 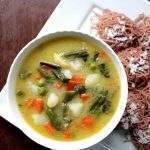 The idiyappam was so soft and delicious that I was craving to eat it with some coconut milk and sugar. But since my plan was to make the savory version, I added salt to the dough. I am going to be making it soon again, so I can savor it with some coconut milk and sugar. 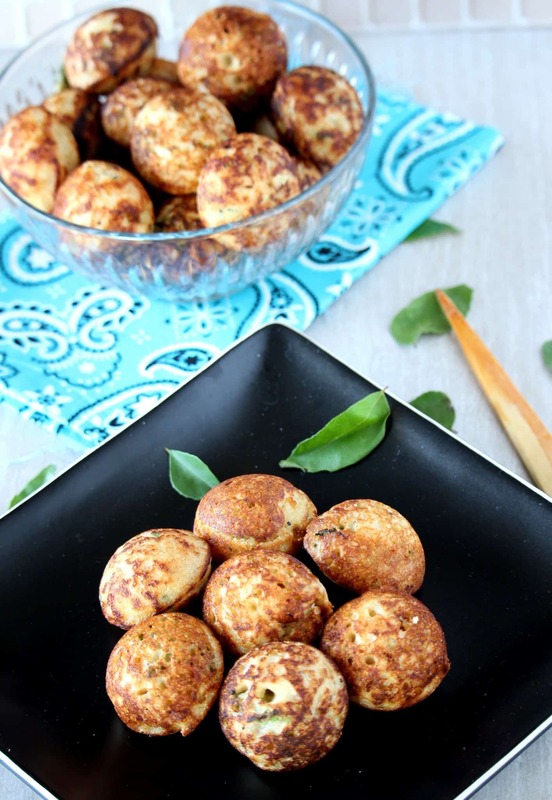 That is my mother’s favorite way of eating idiyappam and I am going to try it soon. 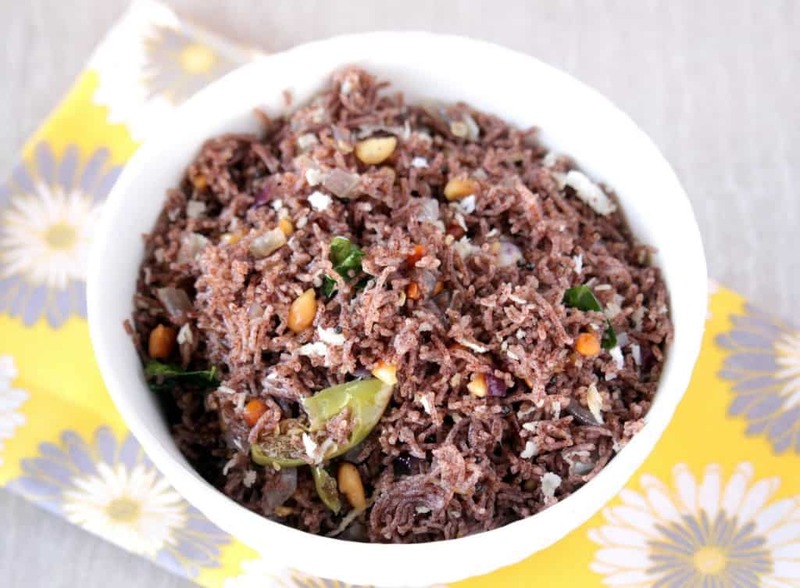 The idea to make the savory version was in my mind ever since my dear friend Suji gave me her seasoned ragi Sevai that she had made with store bought ragi vermicelli. 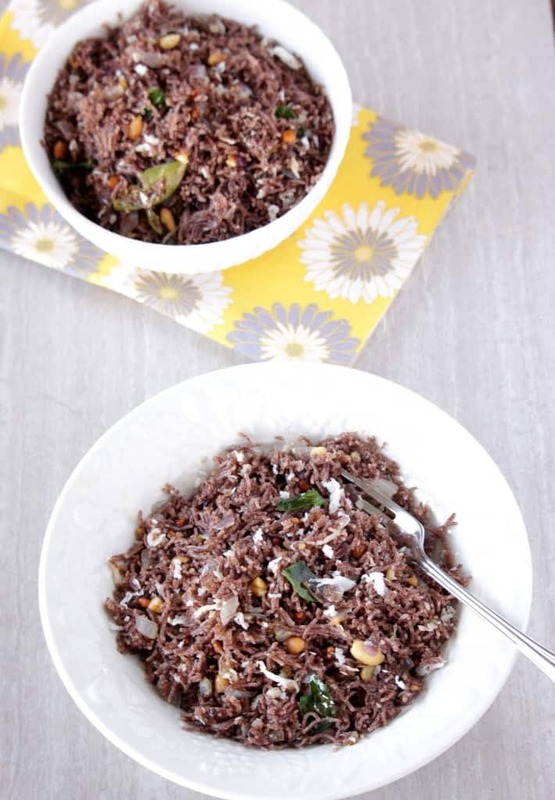 I fell in love with the earthiness of the ragi and wanted to make it soon. 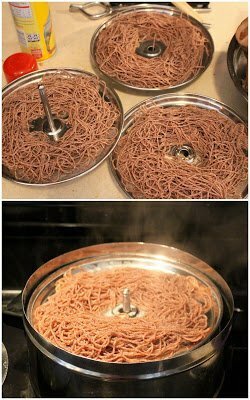 When I knew that I can very easily make the ragi idiyappam at home instead of buying it from stores, I was super excited. I am so glad the recipe worked great and we all enjoyed it. 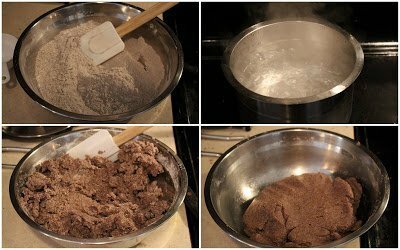 Dry roast the ragi flour for about 4-5 minutes until it is aromatic and heated all through. Dry roasting the ragi flour helps takes the sliminess away and helps take away the innate bitterness of the grain. Also roast the rice flour for couple of minutes. It just needs to get warm and it need not change color. Simultaneously, boil the water in a vessel. Take a little more than 4 cups as we might need more or less depending on the quality of the flour. Let the water come to a rolling boil. This stage is very important to cook the ragi and make it soft. So do not take out the water before it is boiling well. 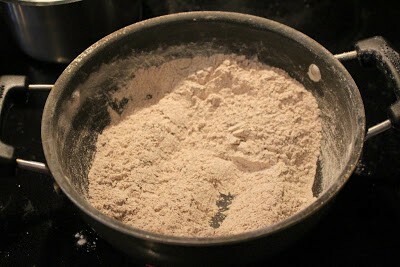 Add the roasted flours in a large bowl. Add the salt needed to the flour and mix well. Slowly add the boiling water to the flour and mix it with a wooden ladle. Add little by little and bring the flour together. Also add the oil at this stage and once the heat is a little manageable use your hands to make soft dough. Make sure the dough is on the softer side and not too hard as it will be very hard to squeeze it out of the idiyappam maker. Cover the dough and let it sit for about 10 minutes. Grease the idiyappam maker with oil and also grease the steamer plates and keep them ready. Add water to the steamer and heat it up so it is ready and simmering. Take a ball of dough that will fit inside the idiyappam maker and then start squeezing out the idiyappam on to the steamer plate. 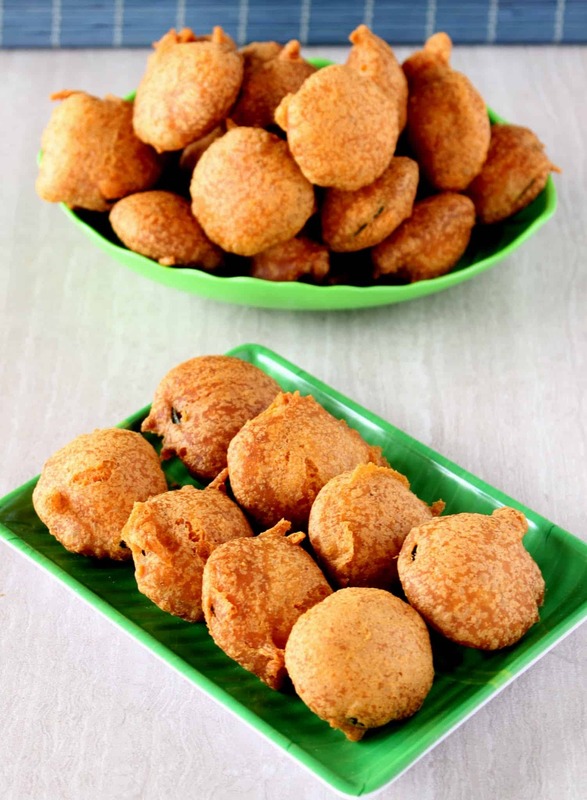 If using idli plates, make small idiyappams to fit inside the idli moulds. 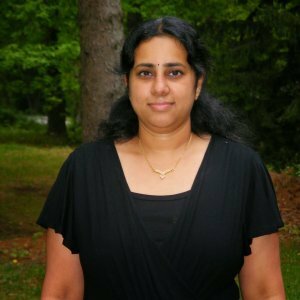 If the dough is breaking apart when squeezing it out, add a little bit more hot water and mix and then make the idiyappams. Steam the idiyappam for about 5 to 6 minutes. 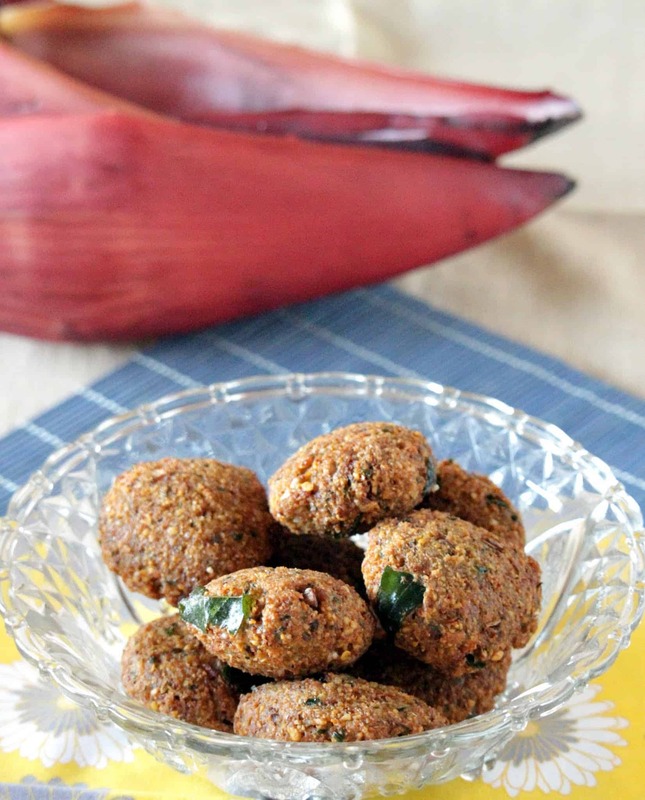 These idiyappams steam really quickly and does not need more than 6 minutes. Let it cool a bit in the steamer plates and then take them out on a plate. Repeat the same with the rest of the dough. 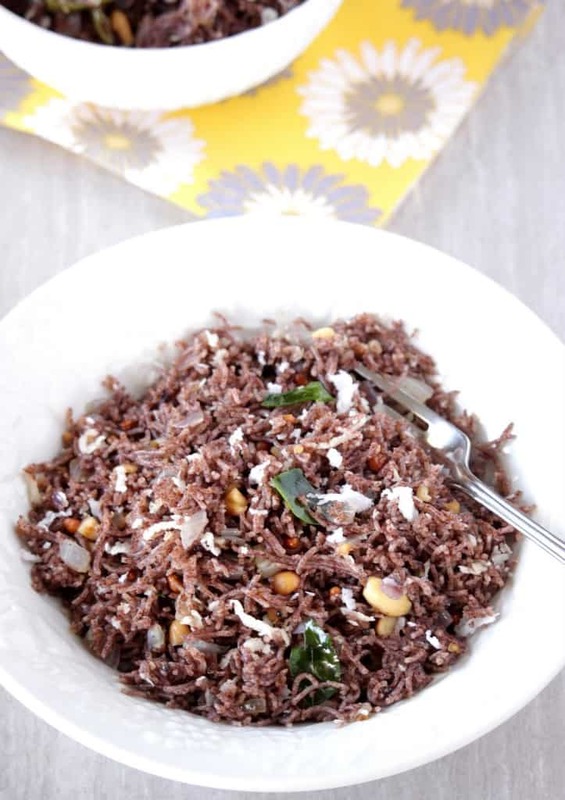 When the ragi idiyappam cools down a bit, shred them into small pieces. 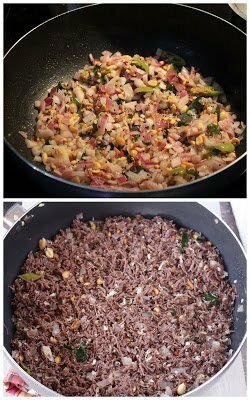 Heat oil in a pan and add the seasoning ingredients; mustard, urad dal, asafetida, curry leaves and peanuts. 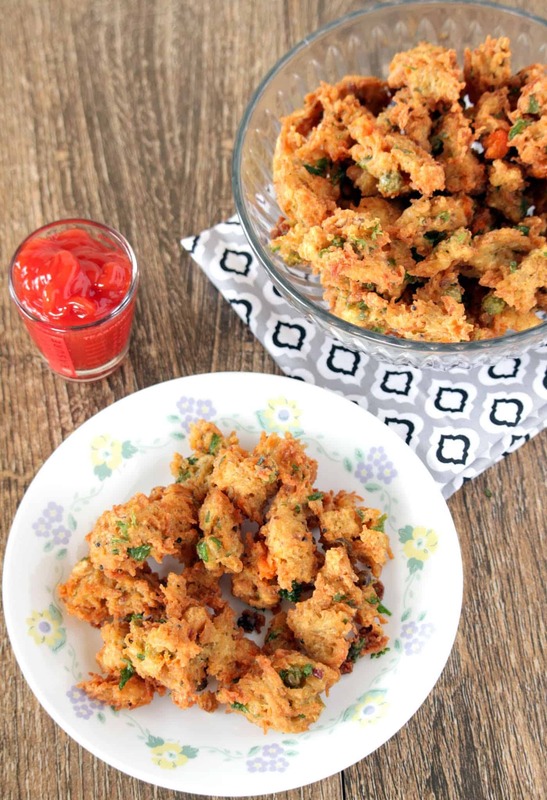 Fry them until the peanuts are golden brown and then add the onion and the green chilies. Sauté the onions until translucent and add salt just enough for the onion mixture. 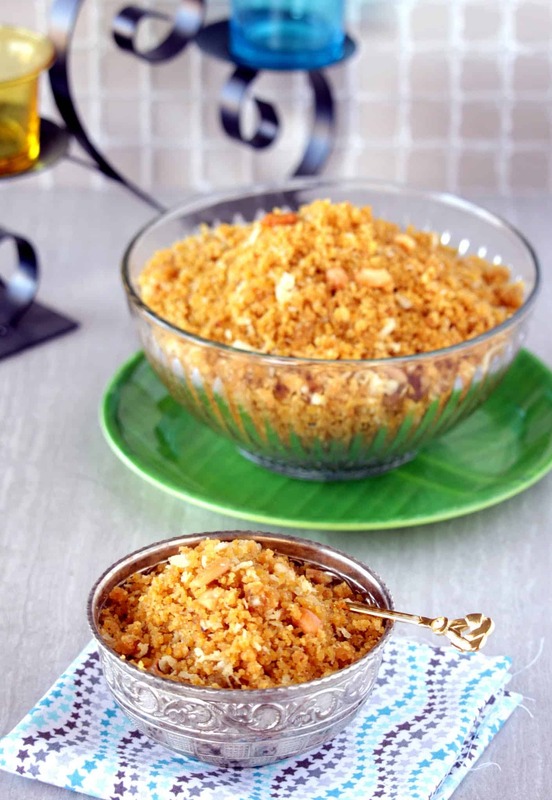 Remember that the idiyappam already has salt in it. Add the shredded idiyappam and mix gently. Add the coconut gratings and give it one last mix.